The project endeavours to illustrate and elevate the artistic accomplishments of a very specific and important component of our cultural community – women writers. These women, literally (pun intended), form and inform the communities in which we live, and as such, function as ambassadors of ‘our’ collective artistic acumen. This series isolates a cross-section of ‘local’ women writers not only to expose and promote the artistic wealth that this region is privileged to possess, but also in response to the historical marginalization of women writers within the canon in general. An important goal of this project is to increase the public’s awareness of both the social and cultural issues that influence artistic enterprise, feminist and otherwise, and to take the time to recognize the value inherent is such an effort. The Royal BC Museum’s popular exhibition Aliens Among Us is about to invade Nelson! Did you know at least a dozen species of lady beetles are aliens to Canada, some introduced to help control aphid infestation and other insects? Or that the entire Vancouver population of Eastern Grey Squirrels came from just eight animals imported from New York in 1914? “By raising awareness about the issue of alien species, we hope to inform people so they can make good choices about protecting B.C.’s natural environment,” said Pauline Rafferty, CEO of the Royal BC Museum. Visitors will learn how alien species arrived in BC, how they can affect our environment, and what people can do to help protect their communities. The exhibition tour will also include community visits by Royal BC Museum curators. 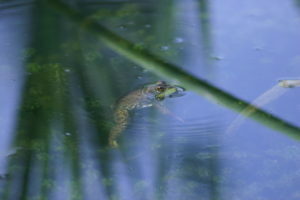 They will host community presentations about alien species and discuss practical things people can do right in their own backyards to help limit introduction and spread. When was the last time you were invited to touch a piece of art? Klang and Squeal, a two-person exhibition featuring interactive sculptures by Megan Dickie and sound drawings by Diana Burgoyne will give viewers the chance to do just that! In their respective practices, both artists explore the notion of interaction through very different, but complementary means. Diana Burgoyne refers to herself as an electronic folk artist. Her work combines electronic components with traditional art media in simple but often unexpected ways. The result is work that not only invites participation, but changes and evolves in response to it. Megan Dickie creates objects that are humorous, tactile and interactive. She makes sculptures out of sensuous materials that turn functional forms into exaggerated novelty gadgets. 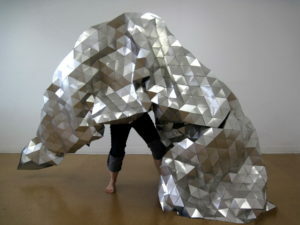 Her piece The Gleamer, is a Buckminster Fuller inspired aluminum quilt, which viewers are invited to crawl under and mold into new forms. What do you eat in a day? In a compelling collection of photos and descriptive text, photographer Peter Menzel and writer Faith D’Aluisio will answer that question for 13 people from around the world. 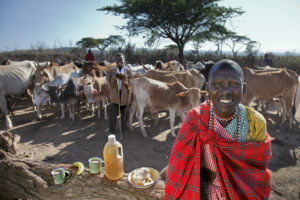 The portraits are organized by the amount of calories consumed, from a low of 800 for a Maasai herder in Kenya to a high of 12,300 for a binge eater in Great Britain, as well as listing every item that person consumed in a single (although not necessarily average) day. Interesting, engaging, and at times disturbing, the portraits offer a unique insight into other cultures. They also give our own diets a more global perspective, and allow us to consider some of the wider implications of our food choices. The material is drawn from the recently published What I Eat: Around the World in 80 Diets, a follow-up to the highly acclaimed and award winning book Hungry Planet: What the World Eats . Developed by Touchstones Nelson with material provided by Peter Menzel and Faith D’Aluisio, the exhibit will be the Canadian gallery debut for the work. Also featured will be What Nelson Eats, a supplementary display of local individuals running concurrent to this exhibit at the Nelson Public Library. Using the work of Menzel and D’Aluisio as inspiration, the portraits will be photographed by Karen Redfern, with text developed by curator Rod Taylor. Landon Mackenzie’s enormous paintings (over 7 feet tall and 10 feet long) dazzle the senses with layers of vibrant colour, intricate meandering lines, clusters of dots and radiating shapes. What appears at first to be purely abstract is actually informed by Mackenzie’s research into Canadian history, geography and cartography. Continents, time zones, satellites and shipping routes overlap into complex networks, forming a new vision of place and history. This combination of the sheer beauty of painterly abstraction with intellectual depth and has lent her work broad appeal. Currently residing in Vancouver, Mackenzie has garnered national and international acclaim for her work including many commissions and awards. 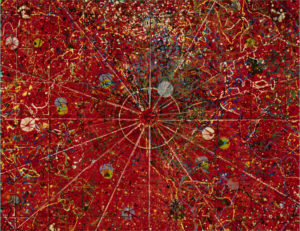 Mapping History will feature some of her most celebrated large scale paintings, as well as a selection of other work. Nelson is unusual – since its inception, it has managed to retain a main street that has consistently been a vital and dynamic part of the community. Since being re-discovered in the early 80’s, the historic buildings and pedestrian-friendly downtown continue to characterize the heritage that the city has become so well known for. This exhibit will feature a montage of past and present photos of many of the historic buildings on Baker Street from the Touchstones Nelson Archives, as well as considering other examples of what heritage may look like as we move further into the 21st century. 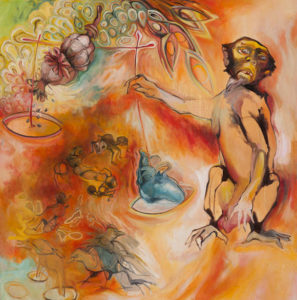 In her most recent work, well known local artist, teacher and curator Deborah Thompson continues to explore the human psyche through her intuitive and gestural paintings. Reoccurring images such as boats, birds and cloven hoofs assemble in painterly narratives exploring transformative themes of birth, life, death, and renewal. In addition to paintings, the exhibition will also feature a number of sculptural pieces. 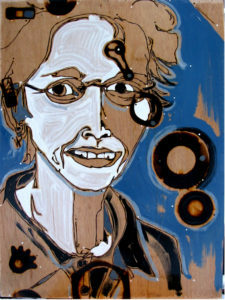 Although visually and thematically complementary, they are quite different from her two dimensional work, and are further evidence of an artist whose practice continues to challenge both herself and her audience. 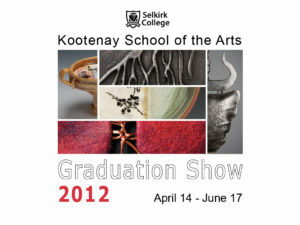 This exhibit features the work of graduating students from the Kootenay School of the Arts at Selkirk College. Student work from each of the four studios: Clay, Fibre, Jewellery & Small Object Design and Metal will be displayed. KSA’s programs place emphasis on the skills necessary to become a successful and professional arts practitioner. Hands-on studio work combined with the study of design, drawing, history, and professional practices leads to an in-depth understanding and refined ability to apply the essential elements for success in the industry. In its earliest days, radio had an almost magical quality, with its ability to draw voices seemingly out of thin air into small black boxes. 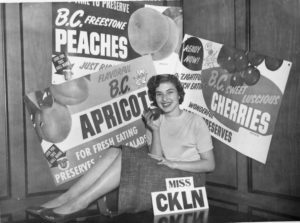 As its name suggests, this exhibit looks at the history of radio in Nelson, with a focus on the earlier years of broadcasting when the medium was at its most popular. Selected artifacts from the Touchstones Nelson permanent collection will be featured, as well as amateur, or “ham” radio, (which continues to be a viable communication option for backcountry enthusiasts and others in our region), and a timeline of selected radio highlights from the early 20th century up to the present day. 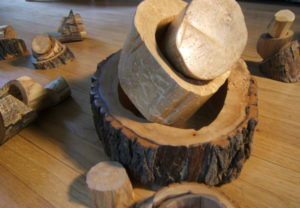 Forest for the Trees brings together four local artists whose work explores the interplay between nature and culture. Through photography, sculpture, painting and installation, the artists reveal the tensions and connections between society and the natural world. Artists Ian Johnston, Tanya Pixie Johnson, Barbara Maye and Nadine Stefan present diverse approaches, with references to science, history, spirituality and First Nations culture. By reflecting on our relationship with the natural world, perhaps we can come to a deeper understanding of our own place within it.